Apple products aren’t perfect, but they get a lot closer than most. As an example of Apple’s success in this area, let’s look at one particular product. I chose the 13-inch MacBook Pro Retina because it seems, at first blush, uncharacteristically pedestrian and unrefined for an Apple product. But for me it was a lesson in seeing through the seemingly unremarkable appearance. 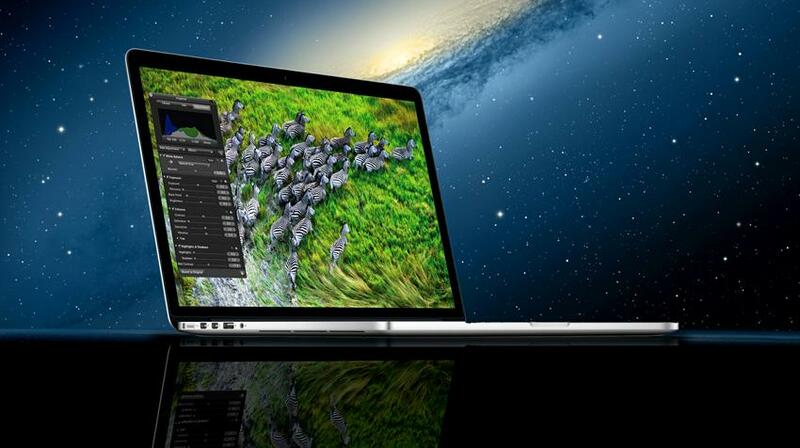 When I first saw the Retina Pro 13 at an Apple store, I recoiled. It didn’t seem to have the usual Apple panache or design boldness. 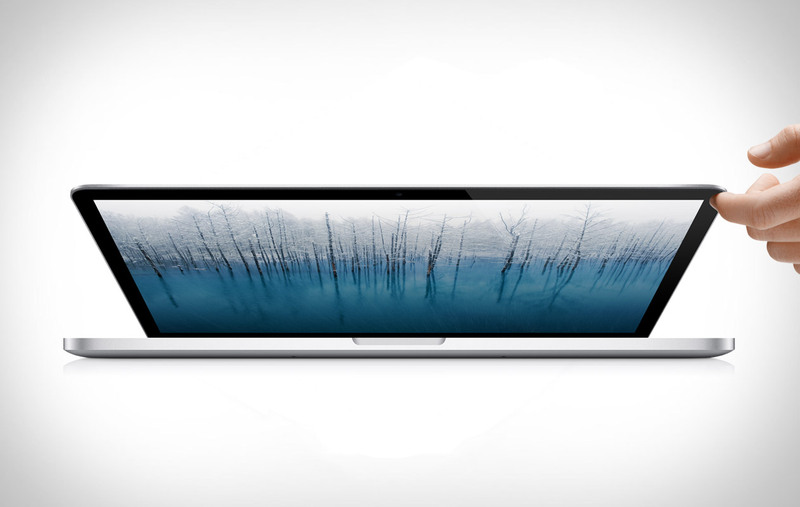 And it was thicker — despite being smaller — than the 15.4-inch Pro Retina. Who at Apple green-lighted this design? Certainly not Steve Jobs. He would’ve unceremoniously fired the design team. That was my gut reaction. I was wrong. (And yes, Jobs would’ve given a nod to the design.) After using the 13-inch Retina Pro, a 2012 MacBook Air, a Dell XPS 13, and Microsoft’s Surface Pro (which I consider a laptop) for long stretches, I’ve decided the Pro comes out on top. In fact, I now believe that the 13-inch Retina Pro is a case study in how carefully Apple calibrates designs. Thick or thin? To wit, the Pro’s thickness (though actually pretty thin at 0.75 inches) is necessary. It’s needed to accommodate a battery large enough for the display. Lighting up 4 million pixels (2,560×1,600-pixel density) and delivering up to seven hours of battery life is no mean feat. For me, the battery life has been remarkable. Beating my previous Airs (count ’em, three) and assorted Windows laptops. Display details Which brings us to the screen. And what a screen it is. You can’t beat the image detail on a 13-inch 2,560×1,600 screen. The only screens that come close are the Retina display on the iPad 4 or the gorgeous one on the Nexus 10. And I like the scaling that Apple provides. The 1,680×1,080 mode (the highest-resolution mode) is a nice added touch. You just can’t get that flexibility on other 13-inch laptops. Conversely, the demands of a very-high-resolution display are one reason Apple didn’t go Retina on the new MacBook Airs. That also was a careful decision by Apple in order to achieve all-day battery life and a $100 price-drop. Not too heavy, man At about 3.6 pounds, it’s heavier than an Air. And it’s noticeable when you put it in a bag. But, I’ll argue, that weight was necessary — at least as of October 2012, when the product was announced — for reasons stated above. No quad-core, no problem When the 13-inch Retina debuted, more than a few reviewers howled because it lacked the four processor cores of its 15-inch Pro cousin. Apple undoubtedly considered this but realized that there’s just so much you can stuff into a 13-inch laptop with a power-hungry Retina display. Even with the Pro moniker. And Apple was right. Striking the right balance, by definition, means things get sacrificed. What goes is just as important as what stays. I’ll take the great display and good battery life over four cores. Besides, it’s mainstream Core i5 chip isn’t exactly slow. Of course, this could change down the road with, for example, a more power-efficient quad-core Haswell chip. I’ll trust Apple to make the right decision. In conclusion, trusting that a company thinks long and hard about a design and then follows through to make sure that design actually works is important to me — or anybody for that matter. And it’s still pretty rare in the computer industry. I can think of one very large PC company — which will go unnamed here — that is great at coming up with designs but more often than I would like drops the ball after the product goes out the door. I’m willing to pay more (maybe a little too much in the case of the Retina Pros) for a product that I believe a company has sweated over. As long as Apple continues to sweat the details more than its rivals, it will succeed.